Take, for example, a Medicare whistleblower case filed against a company providing medical testing services to long-term care facilities. The complaint alleged in detail six fraudulent schemes to defraud the federal government with unauthorized, unnecessary or excessive medical tests. 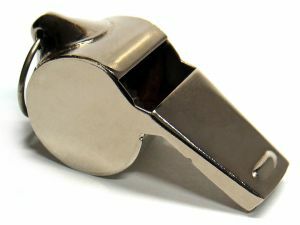 However, the suit was dismissed because the relator failed to provide sufficient factual details regarding the presentment of actual claims to the government.11 In another healthcare qui tam case, the 11th Circuit appeals court affirmed a dismissal because the whistleblower failed to identify amounts and dates of charges submitted to the government. 1 In addition to record civil recoveries in healthcare fraud cases alone (over $12 billion from 2009-2013), a multi-agency task force called the Health Care Fraud Prevention and Enforcement Action Team (HEAT) has led to a 75% increase in criminal prosecutions of Medicare fraud from 2008 to 2011 alone. Since 2007, HEAT’s Medicare Fraud Strike Force has brought criminal charges against over 1,400 defendants accused of collectively falsely billing Medicare more than $4.8 billion. 2 31 U.S.C. §§ 3729-3733. 5 42 U.S.C. § 1320a-7. 6 42 U.S. Code § 1320a-7a. 7 U.S. v. McInteer, MD, et al., 470 3d 1350, 1357 (11th Cir. 2006)(“McInteer”). 8 McInteer, supra at 1357. 9 McInteer, supra, at 1358. 10 McInteer, supra, at 1358. 11 U.S. ex rel. Clauseen v. Lab. Corp. of Am., 290 F.3d 1301 (11th Cir. 2002). 12 U.S. v. R&F Properties of Lake County, Inc., 433 F.3d 1349, 1360 (11th Cir. 2005)(nurse practitioner’s knowledge that services were billed “incident to” physician services sufficient for pleading purposes).